Bill Paterson narrates coverage of the 2018 Royal Edinburgh Military Tattoo, which features acts and performers from around the world. 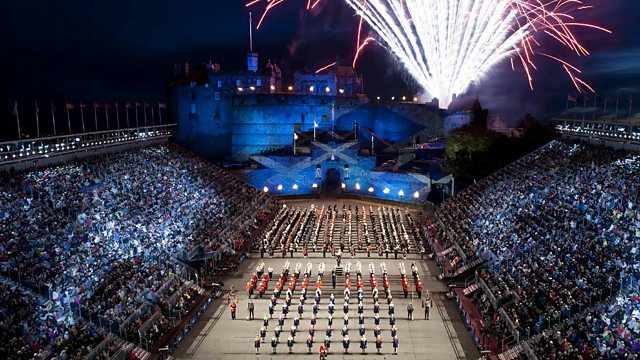 The Royal Edinburgh Military Tattoo is celebrating 2018 with the theme The Sky's the Limit, embracing Scotland's Year of Young People with colourful performers from across the globe. With Switzerland's Top Secret Drum Corps, the Central Band of the Czech Armed Forces and the Royal Air Force marking their 100th anniversary, the tattoo this year hits the heights with an array of music and performance. Recorded at the esplanade in the dramatic setting of Edinburgh Castle, the highlights encompass a packed hour of wonderful music and heritage, narrated by Bill Paterson. The incredible, firework-filled, 24-drumstick salute at 2018’s Edinburgh Military Tattoo.